Dubai, UAE, October 08, 2018: The main reason hyaluronic acid has gained so much attention in skincare over the years is its amazing ability to deliver lasting moisture to the skin. One of the main challenges for our skin, at any age, is dryness. Dry skin can look dull, lack radiance and elasticity, making lines and wrinkles look more pronounced. So, while I'm not promising this wonder ingredient will turn back the hands of time erasing every wrinkle (and who wants that we enjoyed earning them!) what I am saying it can do is hydrate. Hydrated skin has more volume and looks radiant and healthy. 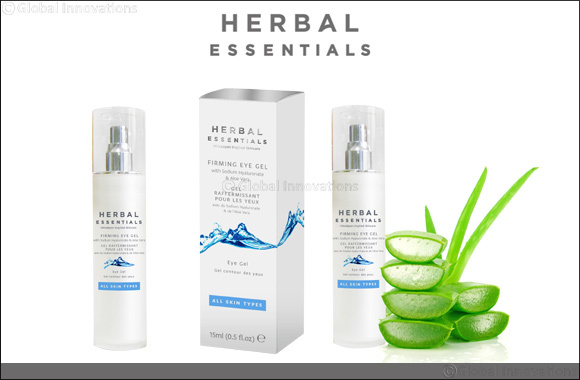 Our bodies produce hyaluronic acid naturally meaning our skin responds well to it. It suits all skin types and is unlikely to cause any sensitivities. Hyaluronic acid is found in the bodies connective tissues but much of it is in our skin, which accounts for 50% of our bodies total level. As we age the amount we produce naturally decreases, so we no longer have the same firmness and elasticity in our skin. Adding creams, serums and gels that contain hyaluronic acid to your skincare routine is a good way to keep skin looking healthy and hydrated. The somewhat newer kid on the block is sodium hyaluronate, the water-soluble salt form of hyaluronic acid. Sodium hyaluronate has a smaller molecular size than hyaluronic acid making it especially penetrative, it is able to hold more water than any other natural substance - up to 1,000 times its weight! When applied to the skin it basically acts like a sponge reaching deep down into the dermis and holding huge amounts of water in the skin, effectively plumping it out. Thanks to its super-sized hydrating properties, sodium hyaluronate helps to reduce the appearance of fine lines and wrinkles, especially around your eyes and mouth, as well as improving the skin's hydration and texture for a look which is naturally softer and smoother. If you're ready for the natural, bright eyed benefits of this wonder ingredient try Herbal Essentials Firming Eye Gel with Sodium Hyaluronate & Aloe Vera… and don't forget to give your lips a little love too. Put it in the fridge and apply cold for added pep!